Nothing says summer like fresh watermelon. And what's better than eating this juicy fruit? Combining it with fresh mint and Bacardi rum, of course! 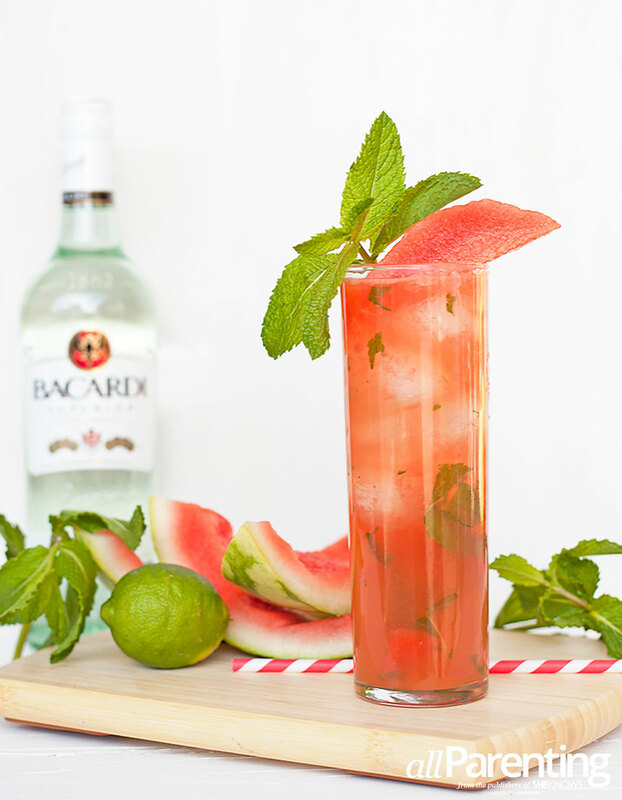 The result is this refreshingly delicious watermelon mojito that will excite the taste buds and impress your friends. The mojito was born in Cuba as a way to make cheap rum drinkable. The basic mojito recipe calls for white rum, muddled mint, lime and sugar topped with soda water. While the basic recipe is good, it's always fun to mix it up with other ingredients like fresh fruit and different types of mint. Watermelons are a great addition to a summer mojito because they are in season, full of flavor and easy to muddle. They also add a beautiful pink color to the drink that makes it irresistible! In addition to the white rum, this watermelon mojito recipe also has Velvet Falernum. Velvet Falernum is a liqueur that contains lime juice, sugar, almond and clove essence with white rum. It's nice in mojitos because it has the same flavor profile and adds a little bit of spice. If you don't have Velvet Falernum or can't find it, that's OK. You can make this watermelon mojito without it and it will still be delicious! In a highball glass, muddle the watermelon chunks, mint leaves and fresh-squeezed lime. Add the rum and Velvet Falernum and stir to combine. Garnish with a spear of watermelon and a sprig of mint for garnish.